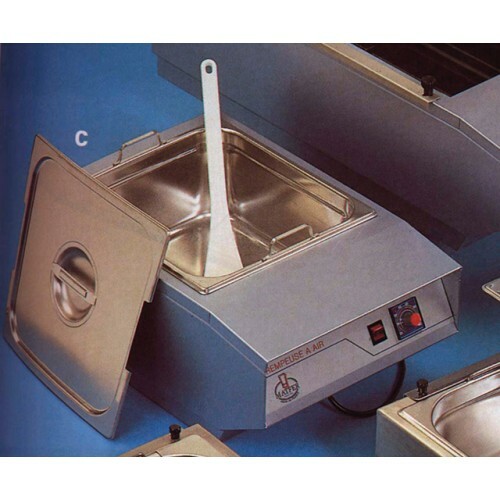 Commercial dipping machine to melt up to 33 pounds of chocolate. Very accurate thermostat going from 25 to 60 Celsius, maintaining the chocolate at the right temperature. Slotted lid and spatula included. Capacity 13 quarts. Delivered with a 2/3 - pan insert.